As the oft-told story goes, in 1923 West Duluth businessman and avid sportsman Bert Onsgard encountered an orphaned white-tailed deer fawn at a northern Minnesota logging camp while on a fishing trip. He took the tiny deer, which he named Billy, back to his West Duluth Printery at 5312 Ramsey Street. Onsgard was an active member of the community and belonged to several business clubs. 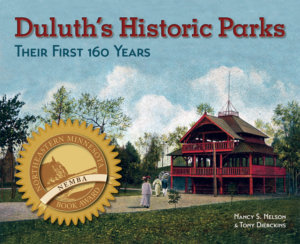 His sporting interests included memberships in the Izaak Walton League, the West Duluth Sportsmen’s Club, and the West Duluth Gun Club. His passions merged when Billy inspired him to open a menagerie. With permission from city commissioners, Onsgard led a campaign to organize a zoo, staging several programs to raise money and purchase equipment. The park department set aside ten acres within Fairmount Park, and Billy became the facility’s first official resident, housed in a pen made of donated fencing originally intended for a zoo in Lester Park. Despite his lack of training in zoology, the zoo grew steadily under Onsgard. 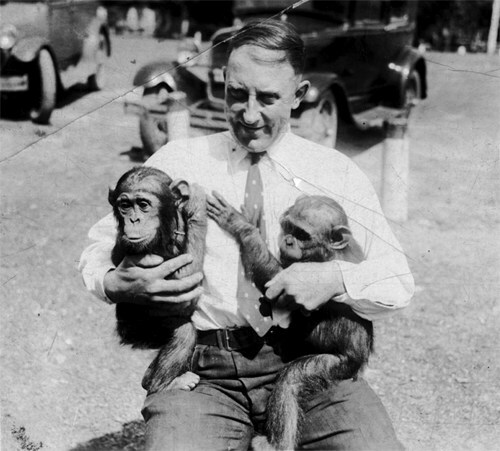 His children told Waterhouse they remember that he “insisted the zoo should be something that all children and families can enjoy regardless of class, money, or race.” In 1927 city officials named him Duluth’s “most civic-hearted man.” Park Superintendent F. Rodney Paine reported that “the largest development of the year has been at the Duluth Zoo, the popularity of which has been conclusively proved by the large crowds which are there on every pleasant day. Through the untiring efforts of Mr. Onsgard, animals have been added to the Zoo rapidly and it has been difficult to furnish accommodations rapidly enough.” Onsgard owned some of those animals. When Mayor Snively lost his reelection bid in 1937, Paine and Onsgard both lost their jobs under new mayor Rudy Berghult. Berghult thought Snively had given Onsgard too much free rein and suspected the city was paying for the food and shelter of Onsgard’s animals—Onsgard kept no records of acquisitions. When Edward Hatch became mayor in 1941, new park superintendent John V. Hoene rehired Onsgard. In 1944 new mayor George W. Johnson promptly dismissed Onsgard because, he said, the zoo was in “very bad shape.” Onsgard demanded a retraction, blaming the city council for lack of funding for proper maintenance. According to Waterhouse, the Onsgard family believes that Johnson’s dismissal of Onsgard came from the fact that both men were professional printers, and therefore business rivals. By then Onsgard had opened the Arrowhead Amusement Park, located across Grand Avenue from the zoo. The facility featured a merry-go-round, tilt-a-whirl, and other rides. Onsgard often transported the rides—and some animals—to fairs and other events throughout the region. A stroke forced him into retirement. Onsgard died on July 7, 1971, in Scottsdale, Arizona. In 1993 the zoo opened the multi-purpose Onsgard Room in its main building in his honor.